Speaking directly to today's explosion of creativity, Ladies Drawing Night is for women looking to deepen their creative connections and expressions. Join rock star illustrators Julia Rothman, Leah Goren, and Rachael Cole for ten evenings of fun and art-making. Each night is led by a talented guest artist and themed around a particular topic, from large-scale ink painting to making art with kids. Samantha Hahn, Mary Kate McDevitt, Joana Avillez and many more share their expertise. Each chapter includes loads of exciting artwork, insights about drawing and instructions for that night's project. 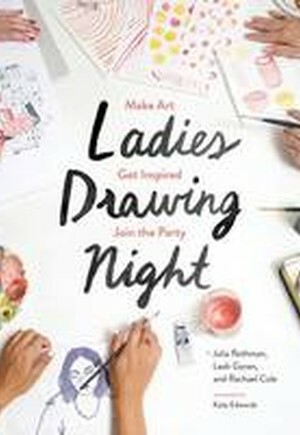 A rare peek into the minds and sketchbooks of some of the best female illustrators working today, this inspiring volume is an irresistible invitation to host your own Ladies Drawing Night!